The Newest Rant: Film Friday--"Justice League: War"
When DC relaunched all their comics as the "New 52" one of the flagship titles was the new "Justice League" comic which over its first six issues had a story-arc titled, "Origin". This new animated feature from DC is basically a re-telling of that with some major and minor changes--probably the most noticeable being the replacing of Aquaman with Shazam (although if you watch the credits there is a teaser that makes it clear Aquaman hasn't been completely forgotten). Just like that aforementioned Justice League story this is a fun tale with good art that may not amaze but satisfies its goal of entertaining. For those not familiar with the story, it basically goes that super-humans and heroes are just starting to pop-up in the nation and people are scared and worried. Almost none of these new super-heroes have met each other before but when a great threat arrives in the form of Darkseid and his Parademons all the heroes have to put aside their differences and unite as a team to fight for Earth's safety. It's pretty basic stuff, but the true fun doesn't come from seeing everyone fight Darkseid (who is kind of a bore) but instead interacting with one another and seeing how their heroic personalities bounce-off each other. 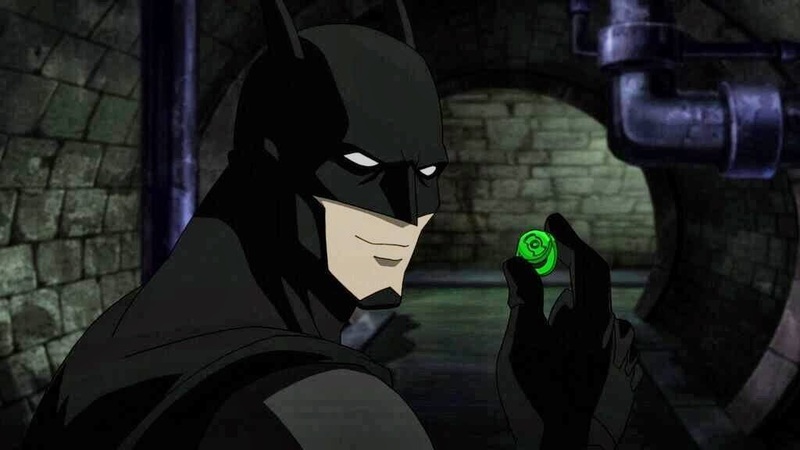 Take your eyes off Batman, and he might take your power-source. 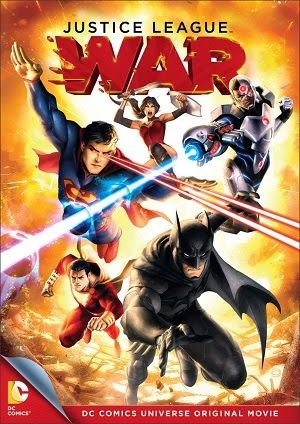 At a brisk almost 80 minutes, "Justice League: War" does not meander much, dispensing with action often and having the occasional short-break to get some plot out of the way. You've got the requisite segments of the heroes arguing before getting along and everyone mostly behaves and interacts with each other how you would expect based on their personalities in the comics--Batman is intimidating and smart, Superman is powerful but caring, Green Lantern is a loudmouth, etc. The animation-style is good, with everyone looking how a viewer would expect, and all the explosions, eye-lasers, and building-crumbling being just as well-animated as the smaller-scale fist-fights and generally quieter moments. Sometimes I felt the action was taking up far too much time and glossing over certain aspects of the story that could have used more explaining--with one big example being that while we learn the basics of most character's powers and motivations we get very little character-development for Shazam. Darkseid has little motivation in the movie besides being "evil". This is meant to be an action-movie so I can't begrudge it too much if the majority of the movie is fight-scenes as opposed to quiet talking. 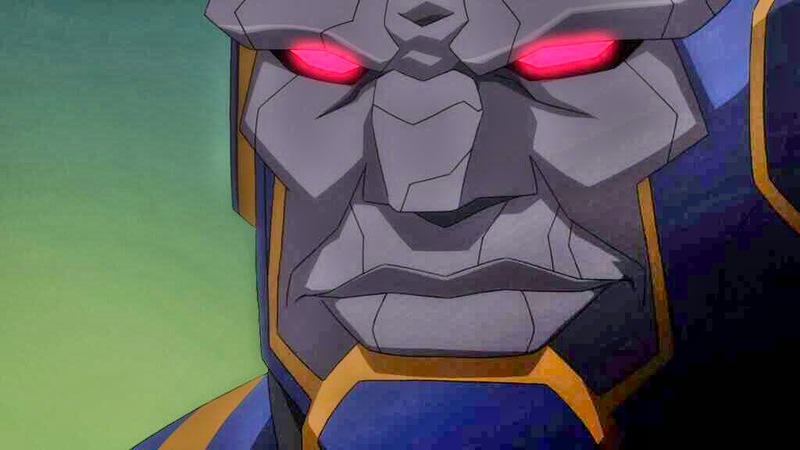 Still, I feel a little more time spent exploring the characters and their motivations would have given the movie more heart, with Darkseid especially coming off as little more than an evil threat with little inspiration for his actions besides simply being the bad guy. Also, it sometimes felt the movie was trying a little too hard to be more "mature" and really earn that PG-13 rating it has, with some swearing randomly happening and the parademons getting sliced up by the heroes quite gruesomely. I didn't mind the swearing or violence at all, but it just kind of felt like when a young kid thinks saying "Damn" makes them look more grown-up.